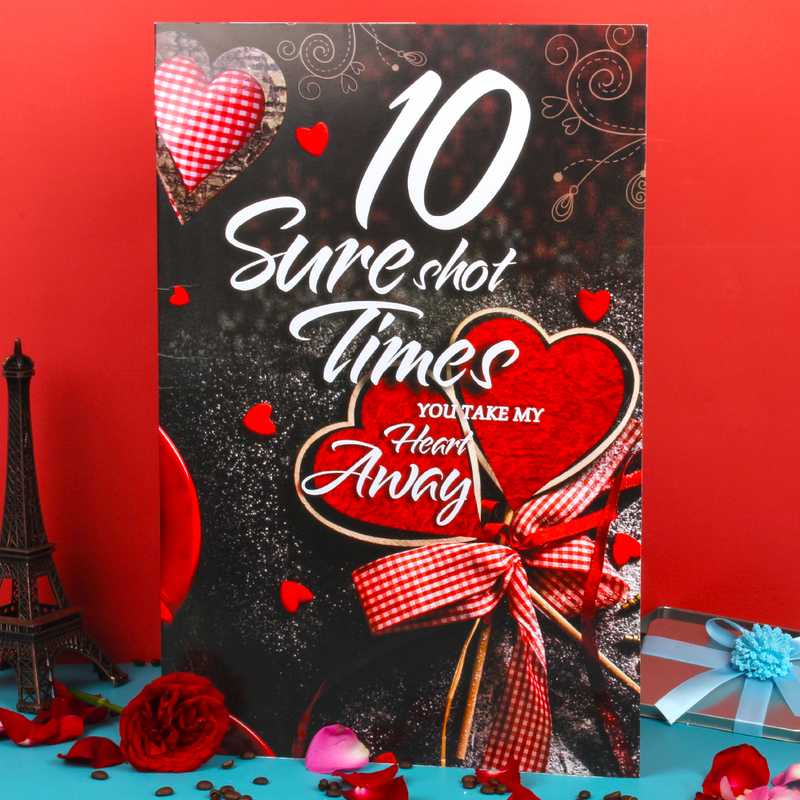 If you want to give reminder of your love one those special moments of love with this lovely greeting card. 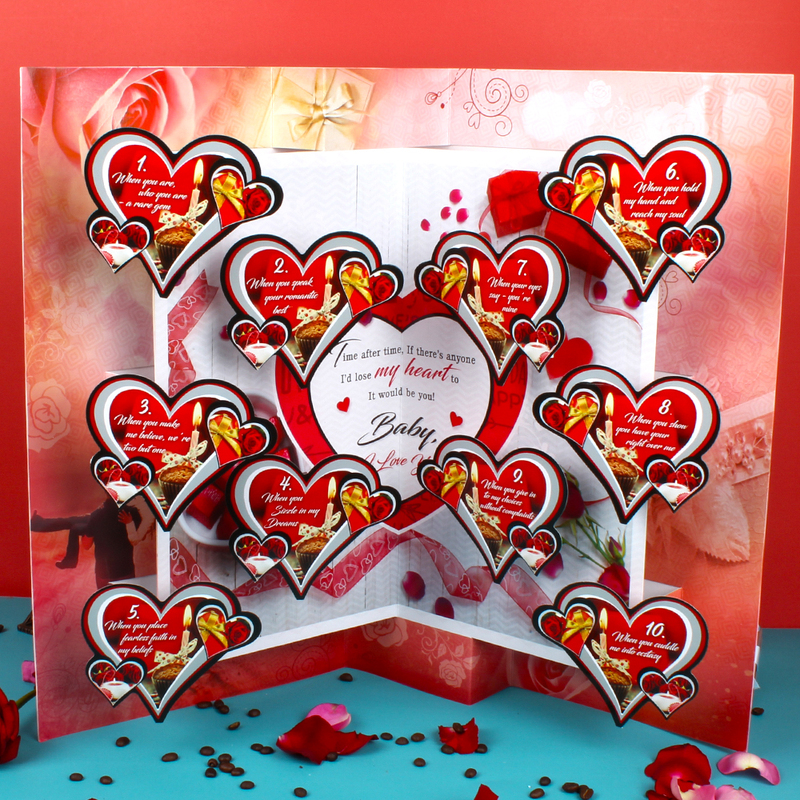 This card is decorating with ten pops of heart with the moment when your heart beat gets fast you feel Romance and your. This card is all about of you and your partner love life. 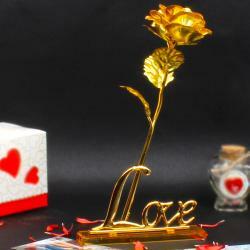 This romantic love card definitely feels her fascination toward to you. 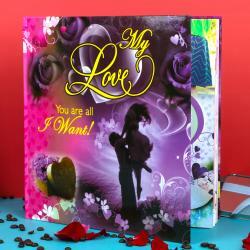 Love is the very beautiful thing, so it must be expressed beautifully with help of this unique greeting card. So why are you waiting, send this card today and make the romance blossomed again. 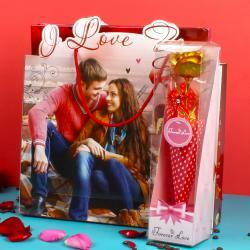 Product Includes : 10 Time Take My Heart Away Pop Up Love Greeting Card (Size : Height : 18 Inches and Length : 12 inches).